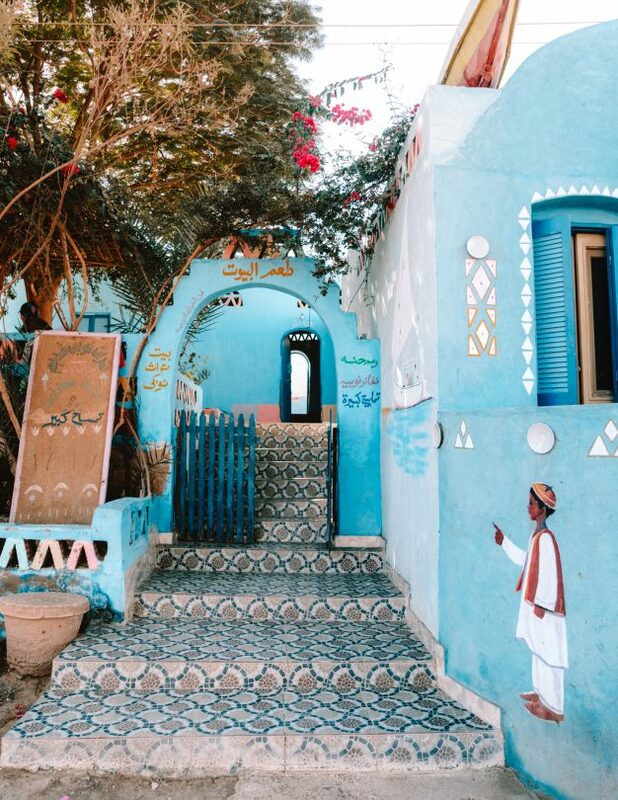 Visiting the Nubian Village is a fantastic half day trip. 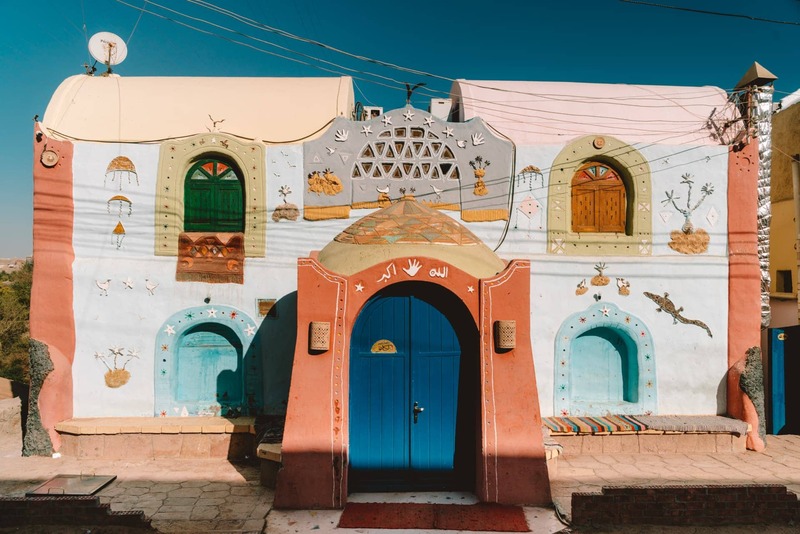 There are a lot of colorful Nubian villages in Egypt. 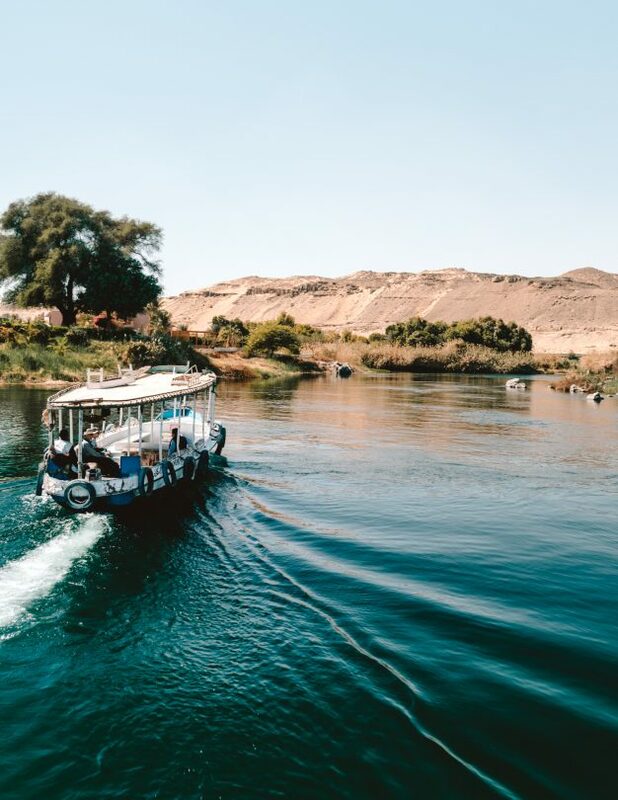 The one that has been popular among locals and foreign tourist is 45 minutes by boat from Aswan. Plan to spend about 2 hours in the village walking around and 3.5 including lunch. 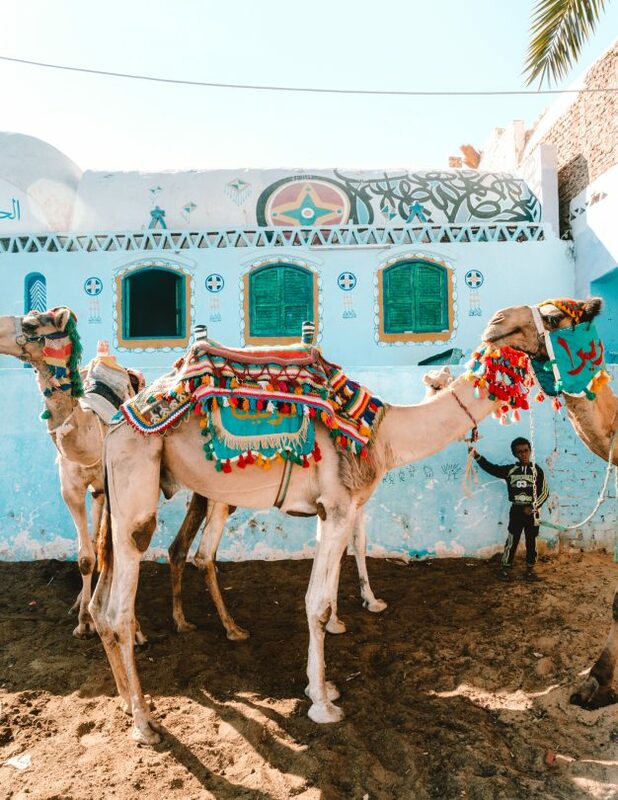 Visiting a Nubian village has to be on your Egypt Travel Itinerary. 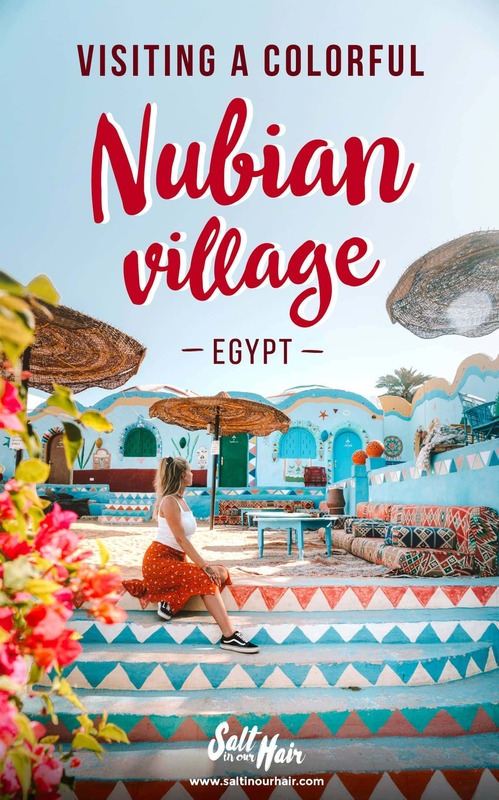 How to get to a Nubian Village? 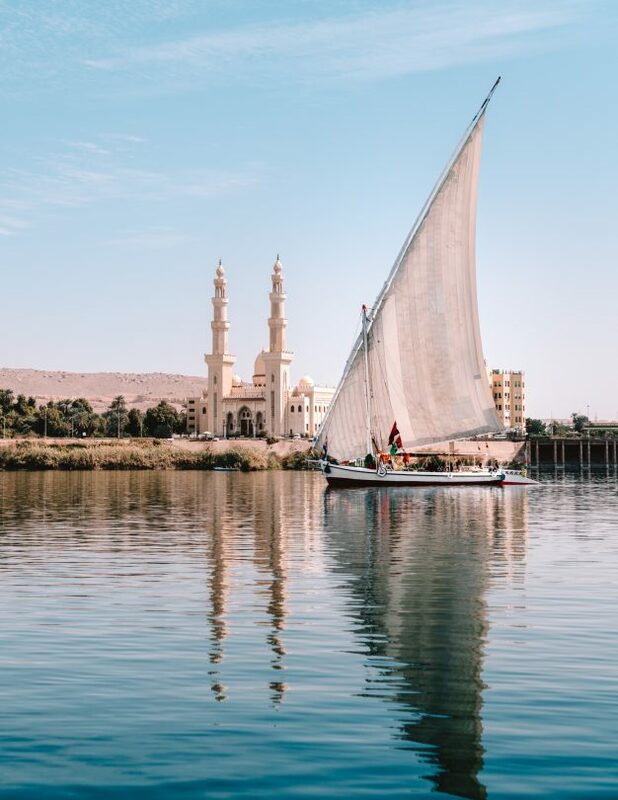 Cross the beautiful Nile river towards the colorful villages. Arrange a motorboat to cruise up the Nile. A relaxing boat ride through shallow waters passing some stunning sceneries. The price for a round trip should be around 400 for an entire boat. 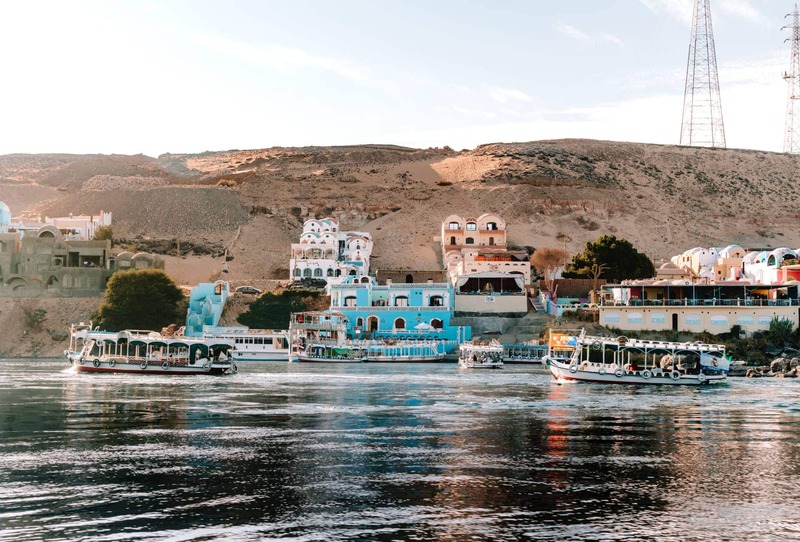 We highly recommend arranging an afternoon trip as you can catch a stunning sunset on your boat ride back to Aswan. This is the exact location of the Nubian Village on Google Maps. ➳ Plan your stay at AnaKato, Kato Dool or Ashry Narty. After passing a few corners by boat, the picturesque, arty village appears. 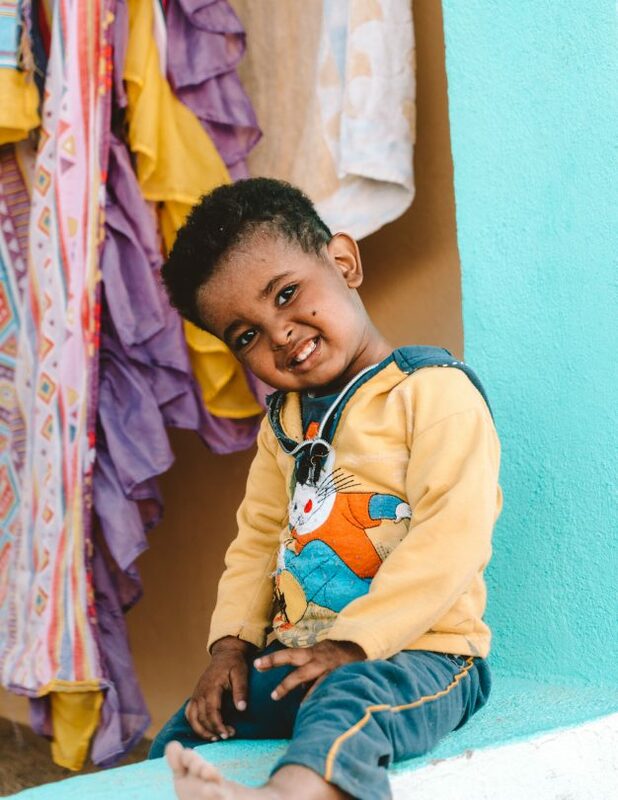 The friendly Nubian people welcome you to their village, and you can start wandering around. From beautiful souvenirs, local spices to great food and accommodation. Yes, we highly recommend you spending the night here if you have time. 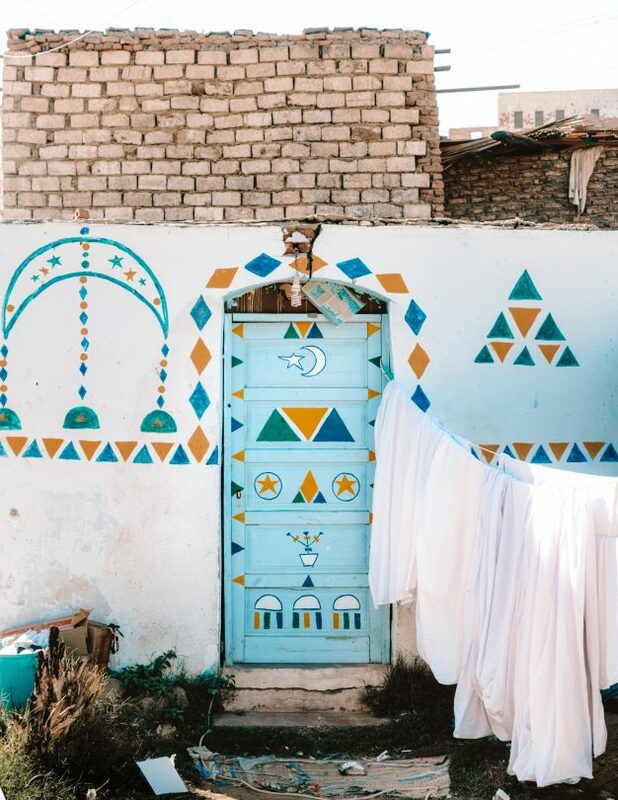 Colorful villages are not the only thing Nubians are well known for. 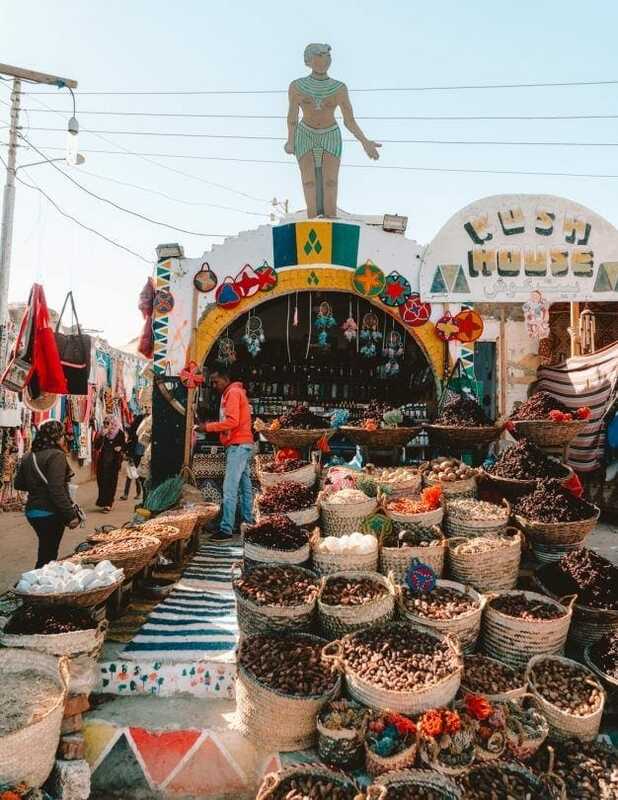 Nubian cuisine is popular throughout the entire country. Have a delicious meal at Kato Dool Restaurant and drink an afternoon coffee or tea at the well-decorated AnaKato Restaurant. Which is also a popular hotel to spend the night. 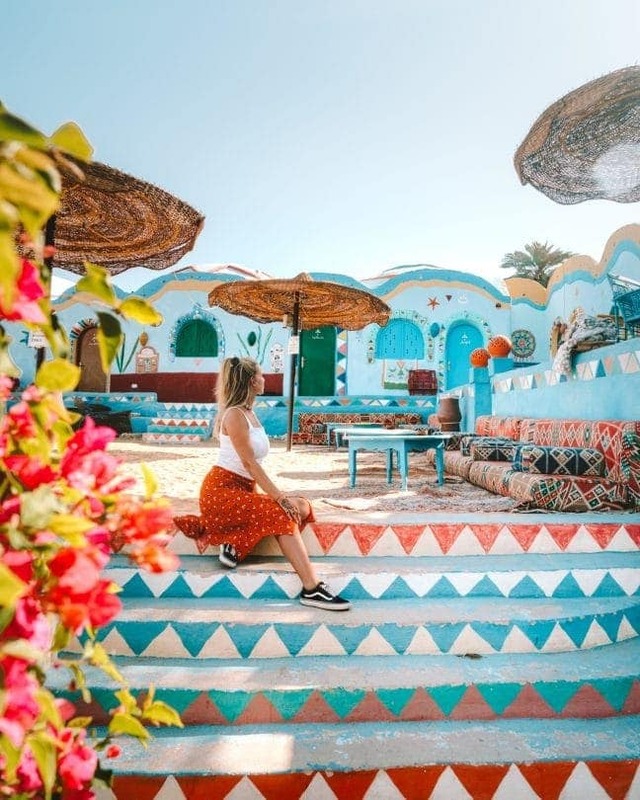 If you are into photography or Instagram like us, you will absolutely love this village. 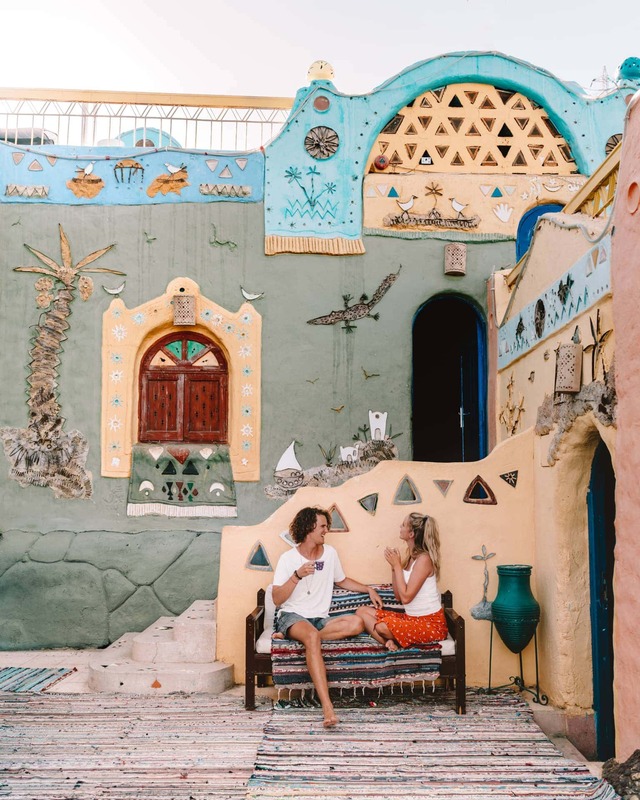 Have a memorable and special stay in Egypt by spending the night in a Nubian Village. There are a lot of colorful guesthouses and hotels overlooking the Nile. One even more picturesque than the other. Spend at least one night here if you have the time.